As a sequel to one of my most popular posts Peach at the Beach, today is yet another ruffled swimwear gem from Unique Vintage! 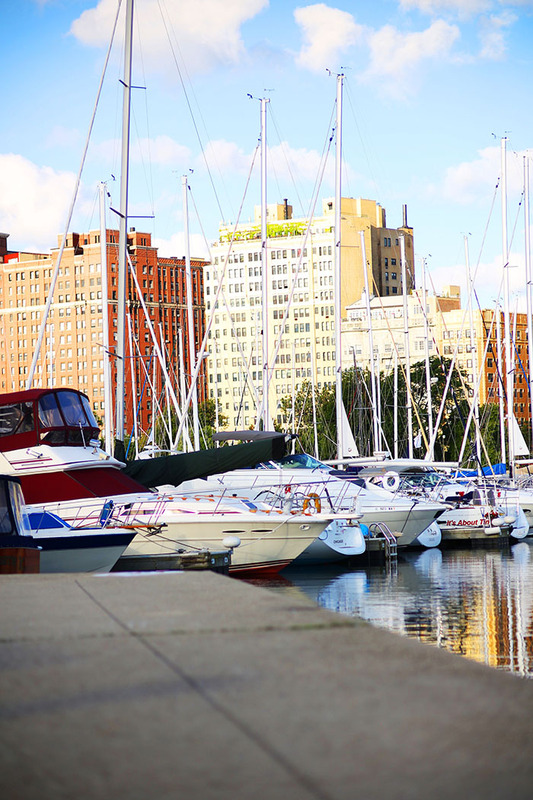 This time, it's nautical daydreams with a retro skirted one-piece at one of the many pretty harbors we have in Chicago. As if it were summer in the french riviera of 1955, this swimsuit has the glamour fit for Grace Kelly in Cannes-based Hitchcock film To Catch a Thief. So, I styled appropriately with white cat-eye sunglasses & a chic vintage scarf. Be sure to snag one of UV's amazing swimsuits before summer is over!